Steel shafts vs graphite shafts. What kind of ball should I use? What is the best golf club in your opinion? Can I use longer clubs or should I get ones that fit me now? Am I losing distance because I am trying not to swing so hard? Would lead tape would help me get back some distance? Hard for me to grip the club right now because I have small hands. Should I use some adult clubs that have been cut down or should I be measured for my clubs? Do you think steel shafts or graphite shafts are better? 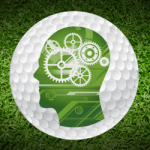 My club head speed is about 100 mph and I am a 9 handicapper, what kind of ball should I use? It sounds like you are on your way to building a great golf game. Today, the ball question becomes a little more complicated than in the past. My recommendations depend on weather conditions, course conditions and your ball flight characteristics. If you hit the ball normally high, you need to select a two piece ball with a low spin rate such as a Titleist DT 2 piece or a Maxfli surlyn covered as examples. 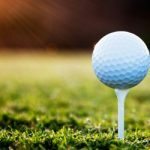 If you normally hit the ball low, you would need a ball with more spin like a balata covered Maxfli HT or a Titleist Professional or Tour Balata. A lot of players with your speed will play a balata covered ball in calm conditions on hilly and/or wet golf courses and a two piece ball in windy days and on flat hard courses. Find a balata covered ball you like for “normal” calm conditions and a two piece ball you like for adverse, windy, and wet conditions. The best way is to invest a little money and experiment with balls. From a personal standpoint, I play either the Titleist Tour Balata or Titleist Professional in dry calm conditions and the Titleist HP2 Tour, Titleist HVC or Precept EV Extra Spin in windy conditions. Those are the balls I select to use depending on the day, course and conditions. The Tour players select one ball and stick with it. Corey Pavin plays the HP2 Tour, Davis Love the Professional, Nick Price and Ray Floyd the Precept EV and Nicklaus, Norman and Couples the Maxfli HT. These balls all match each players shot and ball flight characteristics and act best for them in the wind. What is the best golf club in your opinion (brand name)? Ben, That is a great question. Obviously there are a bunch of top line golf clubs that Tour Professionals are playing. Yes they get paid to play the clubs they do but there is one thing in common to all those clubs. The clubs fit their swing, they don’t fit their swings to the clubs. That is what you should strive to find. 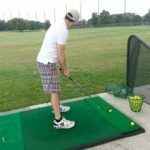 You will go through a few sets from here out in your career as you grow taller and stronger and improve your swing technique. Club fitting is a science. Be sure you find a PGA Professional experienced in club fitting. The clubhead should be any clubhead that looks good to your eye as you put it on the ground and also be sure the clubhead weights are very consistent throughout the set. The most important part of the golf club is the shaft. First, get fit for length of the club for your height now. I have seen too any juniors have to change golf swings and pick up bad swing habits due to clubs that are too long and therefore too heavy for them. Secondly, find the right flex for your swing now. That flex will probably change in a couple of years. The next thing is be sure the golf club has the right lie for you today. A too upright or too flat lie will cause you to adjust your golf swing to compensate for any incorrectly fit component. I would like golf clubs for my birthday. Can I use longer clubs and hold them lower so I can use them for more years, or should I get ones that fit me now? I am a firm believer in clubs that fit a golfer at all stages of development. I have seen too many juniors with too big and heavy of clubs creating too difficult of swing errors just to swing too much club. Get a set that is right for you now and have them extended as you get older. 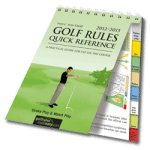 You can get clues that are a half to three quarter inch extra length, but much more than that can cause some swing problems. Great questions! The best way to find all these answers is to find a PGA Professional who is proficient in clubfitting. Shaft stiffness within your set is based upon two variables, swing speed and swing tempo. Someone with high club head speed might need a softer shaft if the tempo of their swing is slower. If that person swings too stiff a shaft they will tend to try and fight the club and sometimes feel they have to “swing hard” to hit it. I am a 3 handicap that is an avid competitive golfer in my province. Recently I have decided to purchase new irons but I am confused. What is better, blades or forgiving clubs? What are the advantages and disadvantages of either? I was told that with blades, a junior such as myself can be more accurate, and improve more easily. But if forgiving clubs are easier to hit, wouldn’t that be the way to go? Please clear my confusion on the subject. Golf equipment at your level of play becomes very, very important. The most important factor in the club is the shaft. Be sure you are fit with the proper shaft to fit your swing. Otherwise you will be adjusting your swing to fit your clubs. The feel you will have is not to do with the head design but to do with the shaft. However, head design can be beneficial. Any design will produce the best shot when it is hit in the center of the club (again has more to do with the shaft) but a cavity back design will give you a little more room for error. There are cavity back forging and cast clubs. 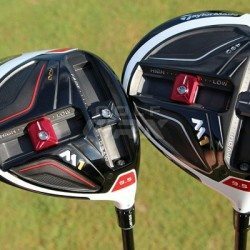 Either one will do as long as the clubs are made by a major manufacturer and the manufacturer pays close attention to consistent weighting of the heads. My question is that it is hard for me to grip the club right now because I have small hands on the shots that are not on the green. I do not know what is the appropriate grip for small fingers. I know I have to change grips because at the moment I am using the ten finger grip that I have used since I first started playing at the age of four. Grip formation (10 finger, interlock, Vardon) changes are made when your hands become big enough to accommodate them. It sounds to me like your problem though can be solved in a different manner. It sounds like the grips or handles on your clubs is too big for you. Go to a PGA Golf Professional or knowledgeable and reputable club repair shop and have them check the size of grips on your clubs. You might need to put a women’s, small women’s or junior grip on your clubs. I just started playing golf and I really enjoy it. Should I use some adult clubs that have been cut down or should I go to a place like Golfsmith and be measured for my clubs? The better clubs fit you, the more you will enjoy the game. Cutting down adult clubs usually will make the club you would play with too heavy and the shaft too stiff which means you can’t bend the shaft with your swing. My recommendation is a club that fits. If you want to go longer to have a club you can grow to, only make it 1/2 inch longer than you measure for. Use the lightest shafts possible and light club heads. Enjoy the game. Practice, play and have fun.